The software development company, HireRussians, comes from Siberia. Since 2001, the company has been competing for projects on the online employment platform, Elance, with a grand vision in mind: get to the top of the supplier list. Ten years later has reached the fourth position in Elance level rating. The team traces the rating fluctuations on a weekly basis in an effort to understand the exact formula, which Elance is keeping secret. To excel at the bidding process HireRussians appointed knowledgeable sales team, capable of addressing clients’ technical queries, whilst its project management is provided to the clients free of charge. It is not surprising that HireRussians is so dedicated to Elance. It is responsible for 70% of the company’s new projects. The platform helped survive the dotcom bust when HireRussians’s core client, 3Com, left the team without work. To get the first client’s initial feedbacks and references, HireRussians completed projects even at a loss, but still managed to retain all of its employees during the hard economic times. Two years later, the company reached a stable stream of projects and income. Getting a new business in Siberia is not easy. First, travelers to Russia are still required to obtain a visa which is often a cumbersome process. Second, the long haul flight complicates face-to-face communication with a jet lag. Last but not the least, there is time difference. Located in GMT+6 time zone, Novosibirsk is 6 hours ahead of London and 13 hours ahead of Silicon Valley. Despite those difficulties, HireRussians is growing fast, employing 140 people. Based in the middle of the scientific center of Novosibirsk Akademgorodok, the location of one of the country’s best universities and the Siberian Branch of Russian Academy of Sciences, it has good access to talented software engineers. It is the competence of this people rather than the prices that HireRussians is betting on. “Competing with India on price is impossible,” says Yuriy Bannov, CEO of HireRussians, “but our clients come to us because we have a reputation for the quality of our service.” According to Bannov, HireRussians won 180 Elance projects in the last 12 months without having to place unsolicited bids on any of them. By the looks of it, HireRussians’ big goal of topping the list of suppliers on Elance is within its grasp… That is, if Ukraine’s NIX Solutions didn’t beat them in their game. The Ukrainian software development outsourcing company, NIX Solutions, which earned over $1.5 million dollars through Elance over the past 12 months, is based in Kharkiv, one of the most advanced higher education and R&D centers in Eastern Europe. Its location gave them the edge to win their clients confidence. NIX Solutions started bidding on Elance projects in early 2003, a difficult year for software development industry. Unlike Sibers, they have never set a goal to rise to the top of the rating. Instead, the company dedicated itself to improve its project performance constantly and understand the Elance processes more clearly. “Our approach to bidding is, of course, an important factor,” says Alexey Nikolayev, Chief Innovation Officer at NIX Solutions. “But it is just a way to attract attention to the service, a tip of the iceberg. Then the real competence comes into play. At the beginning we had extensive experience in software development, impressive projects portfolio and a talented project delivery team. That was a good starting point, but we had a few extra miles to go to adopt our previous experience to Elance reality,” he sums up. Having researched Elance bidding process inside out, NIX Solutions’ sales managers came to realization that the main fear people have when they go on Elance is the risk of being deceived in their expectations. “The bid must use the same language as the customer does. It must be specific, show vivid interest to the project, demonstrate clear understanding of its essence and prove strong competence to deliver,” explains Nikolayev. “At the same time, it must differ from other bids; be personal rather than mechanical; and from the first moment on, it must establish a bridge between the parties turning them into a team,” he adds. It took the company a couple of months to figure out the right approach. “In the beginning, the sales team had no clue how to sell small projects,” Nikolayev recalls,”back in 2003, during our lunch break in a local restaurant, someone came in and announced that we got the first Elance project valued at $50. So, we celebrated.” Since then, the largest Elance project, which began in 2008, earned NIX Solutions almost $400,000 US and is still ongoing. Now, a quarter of the company staff is developing software for Elance customers, generating 25-30% of the company’s revenue. According to Nikolayev, his team does not rest on its laurels. 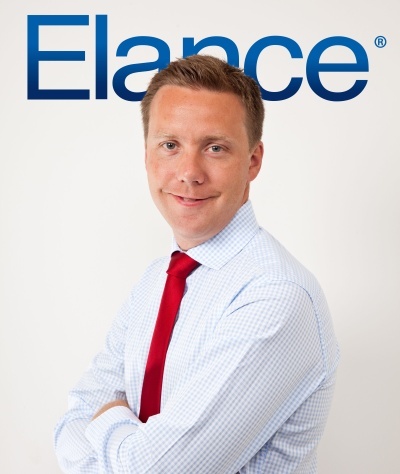 Instead, it continues to figure out what is the best way to grow business on Elance. While this article was being researched, NIX Solutions was pushed to the second position in the ranking by its competitor, SynapsIndia, although they remained the highest earner. HireRussians too had topped the level rating in 2007 but could not hold it in this highly competitive environment. NIX Solutions is not the only Ukrainian company on Elance. In fact, Ukrainian companies including Zfort from Kharkiv, Anahoret from Donetsk and Onix Systems from Kirovograd, are amongst the highest earners on Elance. Yet, only 3% of 470,000 Elance suppliers come from Eastern Europe. Even with a very small representation, they are known for their quality. When asked about Elance level rating, Olsen explained why its formula is kept secret, “We do not want anyone to try to manipulate the rating but we are open and transparent about what drives the numbers. There is a point system behind the level rating based on activity and achievement. Elance rewards contractors who market their services effectively, deliver a good work, maintain high level of customer satisfaction and develop lasting relationships with them”. To mention a few, points are rewarded for the size of the project and their number, customer feedback, availability of status reports and number of job cancellations. Offering the price below the budget is penalized. The job acceptance rate plays a certain role in the rating. Contractors can get a penalty for declining an invitation to bid. A novice on Elance, oblivious to the rating composition, GoalEurope might have pushed HireRussians’ rating down. In an attempt to evaluate their service, we asked the company to bid on our WordPress development project but the invitation to bid was declined. It was too small and HireRussians had to remain true to its strategy which comes hand in hand with being selective. This strategy did not put them to the top of Elance yet, but given their focus and determination, we shall see if the NIX Solutions’ dominance will be challenged. Watch ‘HireRussians Waltz: Outsourcing to Russia’. The video shows Novisibirsk and HireRussians’ team.